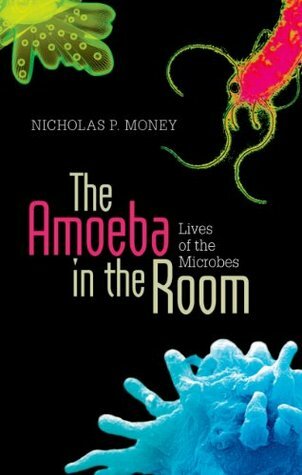 The purpose behind Money’s “The Amoeba in the Room” resonates strongly with me as a microbiologist. It should resonate with anyone who is a biologist or is interested by the varied types of life on Earth. The TV documentaries “Life” and “Planet Earth” infuriated me with their focus on animals and plants alone. The vast majority of life on Earth is ‘other’ and microbial. “The Amoeba in the Room” sets out to make this clear and detail what exactly that microbial world looks like. I personally was interested in reading this because I was expecting a focus on the protists, eukaryotic microbes that I’m not nearly adequately familiar with. The first chapter nicely gives a tour of this eukaryotic microbe world, including the amoeba, but much of the remainder of the book covers the prokaryotes: bacteria and archaea. This isn’t a problem by any means, but for me personally, everything in the remainder of the book was well-known to me and probably will be to any microbiologist. And that final point does get at the major concern I have with Money’s work, namely who is the audience supposed to be. Parts of the book are written with a fair amount of scientific detail (or at least jargon that goes undefined) that it would be hard reading for someone who is not trained in modern molecular biology at least. Yet the scope covers such a broad range of topics that the information given should be familiar to most scientists. I can see this working best for perhaps a well-trained biologist who happens to be in macrobiology fields. It is unfortunate that the language of the book and its style weren’t written to better serve as a general audience book for microbiology popularization. Instead, “The Amoeba in the Room” seems to exist partially in both worlds of general and technical, not being of prime use to either despite noble purpose and accurate, impassioned writing.